Networked mortality – thinking about what happens to your digital life, including your passwords, after you die. The rise of social networks in academia – Brian Owens looks at sites such as ResearchGate and Academia.edu. Innovative science blogging – summarising research using infographics. A conference for members of the open community, OpenCon, was held in DC last weekend. Ross Mounce has a super round-up full of useful links. Round-up of the talks and related content from the CMX summit on community management. Illuminating dark social data – how much traffic do apps like WhatsApp drive to news stories? The great explainers from the folks at ImpactStory continue with a guide to Slideshare, ORCID. 20 lessons from creating an online outreach empire – useful tips from Craig McClain. Social media and society conference – Toronto, Canada. July 27th – 29th. 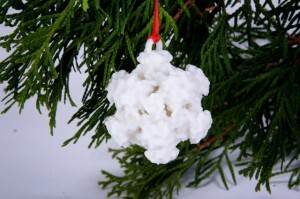 3D printed viruses for your Christmas tree – with money going to science outreach projects. Contagious festive spirit! Image credit: @genegeek. This entry was posted in URLs of wisdom - links and tagged commenting, dark social, digital natives, science blogs. Bookmark the permalink.